My Manchurian Pear Tree has just fallen over due to bracket fungus. I have had the stump ground out. I wish to plant another Manchurian Pear Tree in the same place. 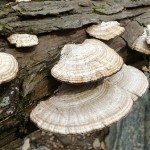 will it be safe or is it likely the fungus will be in the soil and affect the tree I plant? It is very likely that the infection is still in the soil. You can prepare the area by adding dolomitic lime and wettable sulfur to the soil. This can help get rid of the problem, but it may take a month or so for it to be completely out of the soil. After, it may be safe to replant.